With the rise in demand for energy efficiency, the most efficient way of illumination and lighting is LED. When compared to traditional lighting and conventional light bulbs, LED lighting is 80%-90% more energy efficient, offers longer life, and low maintenance. This means that about 80% of the electrical energy is converted to light, while about 20% is lost and converted into other forms of energy such as heat. Effective thermal dissipation extends LED lifetime and reduces the total cost of the LED lighting systems by reducing the frequency of replacement, and allowing LEDs to operate at higher power levels. 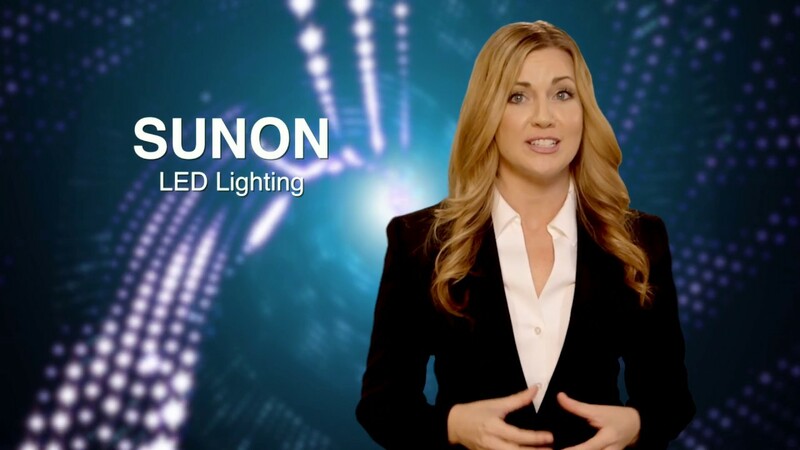 Sunon offers a wide range of customized thermal solutions designed specifically for LED applications. Sunon’s lightweight aluminum heat sinks can solve thermal management issues for low lumen LED fixtures. Sunon’s SA series LED heat sinks with radial fin structure offers omni-directional airflow with black or silver anodized standard finish for optimum thermal performance. The SA series radial fin heat sinks are ideal for cooling LED spot lights. For high lumen LED output, passive cooling is simply not enough and thermal management can become a challenge. 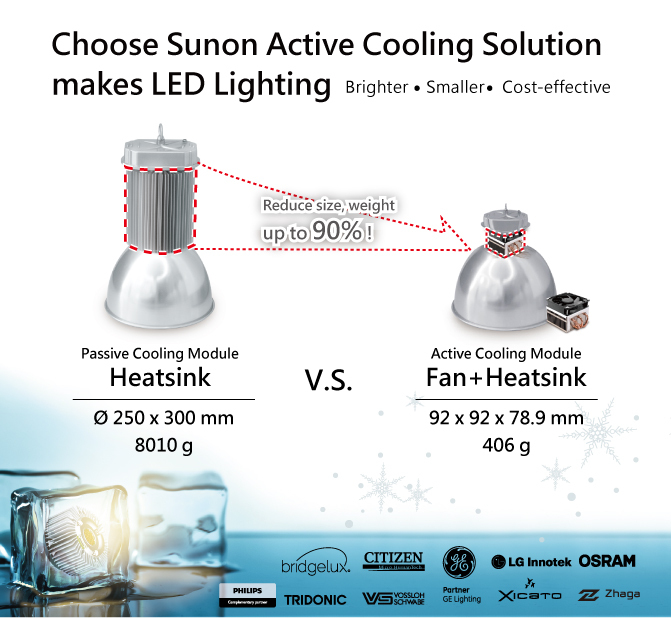 Sunon offers active cooling solutions to dissipate the heat produced by LED components with thermal capabilities that are more effective than passive heat sinks. Active cooling (the use of fan plus heat sinks) can significantly reduce the weight and size of the lighting fixture. For example, a 400 watt, high-bay fixture with passive cooling may weigh up to 75 pounds. A similar version with active cooling might weigh only 15 pounds and is reduced in size. When using Sunon’s active cooling for high lumen LEDs, the life expectancy can easily exceed 100,000 hours, much greater than the life expectancy of the LEDs themselves.